This sedan has 88261 kms. It's nice in colour and is major accident free based on the CarProof Report. It has a 5 speed auto transmission and is powered by a 156HP 2.3L 4 Cylinder Engine . 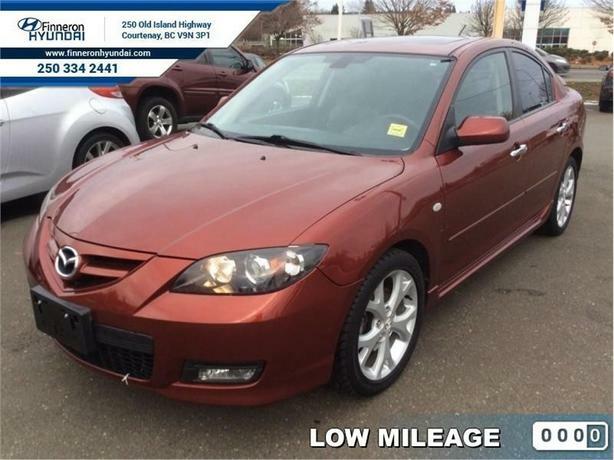 This 2009 Mazda Mazda3 is for sale today in Courtenay. Buy this vehicle now for the lowest bi-weekly payment of $79.69 with $0 down for 60 months @ 6.67% APR O.A.C. ( Plus applicable taxes - Plus applicable fees ). See dealer for details.